FCA says its U.S. dealers underperform the competition in four key areas: vehicle delivery, negotiating process, salespeople and dealership facility. DETROIT -- Eager to boost below-average customer satisfaction at its dealerships, Fiat Chrysler will begin certifying top-performing stores next year and will pay to have those dealerships spotlighted in online search results. The voluntary program is aimed at bringing FCA dealers up to the level of competitors, says Al Gardner, head of network development. "We're laggards in my opinion right now, and it will get in our way if we don't fix it quickly," he said. Low scores on metrics -- such as whether car shoppers would recommend the dealership to others -- will hinder FCA's sales growth objectives, he says. The Customer First Award for Excellence is similar to the Five Star Dealer designation Chrysler awarded to top-performing dealers a decade ago. The program is FCA's first attempt at a program to improve customer satisfaction scores since its Dealer Standards program ended in 2012. Dealer Standards paid rich incentives to stores that hit benchmarks for facilities and internal processes. But it was roundly criticized by retailers who saw it as factory interference. Since then, FCA has pushed dealers to improve customer satisfaction, but without either a carrot, such as incentive payments, or a stick, such as decreased allocation. While FCA's customer satisfaction has improved, it "hasn't improved at the same speed as the rest of the industry," Gardner said. He said FCA dealers underperform the competition in four key areas: vehicle delivery, negotiating process, salespeople and the dealership facility. Together, those areas drag down FCA's scores 25 points on a 1,000-point scale that J.D. Power uses to measure what it calls the Buyer Index. "This program is designed to focus on the gaps where we know the deficiencies are," he said. 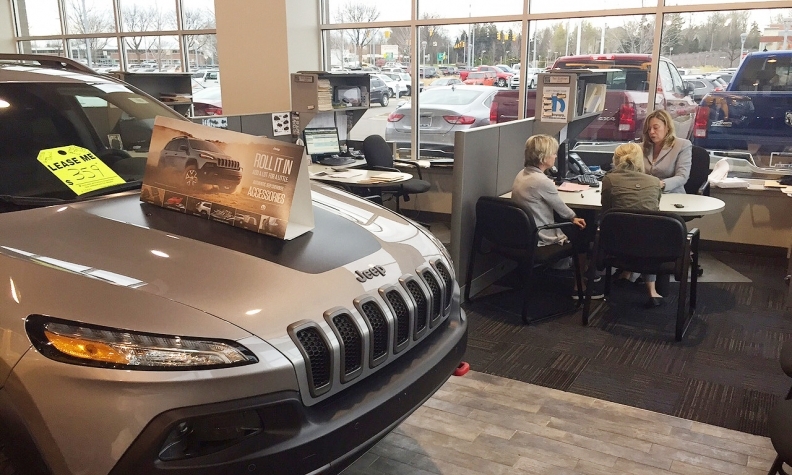 To get the Customer First designation, an FCA dealership will undergo an on-site review by a consultant from J.D. Power and Associates. The review will score a dealership's facilities, employee training, handling of sales and service customers as well as whether customers would recommend the dealership to others. Dealers earning the Customer First designation can use it in their marketing, and FCA will pay for the designation to show up in search results that include that dealership, Gardner said. To undergo the certification process, the dealership pays $15 per employee for an annual survey. FCA bears the rest of the cost. Gardner said FCA has been "inconsistent" in its focus on customer satisfaction overall since Dealer Standards folded. "If we don't pay attention, our dealers don't pay attention," he said. "In the next two years, we have to be above industry average. It's not a stretch to say we should at least be above industry average."